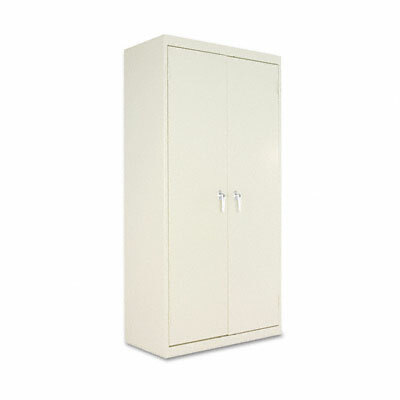 Single point locking system secures each door to the fixed shelf. Doors open 180° for easy access to contents. Finish helps prevent scratches and scrapes. Single point locking system secures each door to the fixed shelf. Doors open 180° for easy access to contents. Built tough to ensure strength and durability. Finish helps prevent scratches and scrapes. Locking handles require assembly.